It is uncanny how the very technology we didn’t understand in the past have become indispensable in the present. WiFi is one such technology that we take for granted. 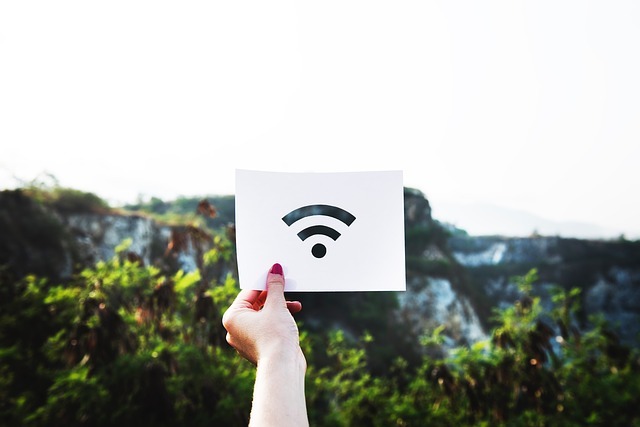 For most of us the WiFi connectivity has become as important as air and thus the lack of thereof is very frustrating. 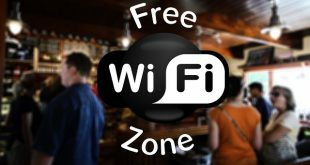 In the recent past, mobile operating systems are offering a “hotspot” feature that will help you turn your smartphone into a mini WiFi router. Go to any public place and I am sure you will see a myriad of available WiFi networks. Strangely enough, the presence of such large number of WiFi network comes with its own downsides. Most of the times you discover that your laptop has connected to a weaker WiFi router instead of connecting to the ones that are nearer and have a stronger signal strength. Just take a look at my example, I rely on my main router and a WiFi repeater at the farthest point of my house. Sadly enough my devices still connect to the main WiFi router instead of connecting to the repeater. Every time I need to switch the WiFi network only to find that it has switched back to the other router after some time. The same problem also extends to a scenario wherein you have multiple ISP’s and want to use one for work while the other is for entertainment purpose. Even in such cases, you don’t really have a control over which Wi-Fi your device chooses, that is until now! Thankfully we can prioritise Wi-Fi Network across macOS, Android, iOS and Windows. All we need to do is follow the steps detailed below and be rest assured that your device respects your priority when it comes to the WiFi network of choice. 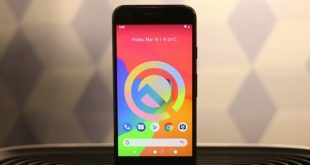 Well despite being lauded as one of the best mobile operating systems when it comes to customisation, the Android doesn’t offer a native feature to prioritize WiFi networks. Fret not we can still make use of a third-party app and instruct your Android smartphone to connect to the right network. Before we proceed I would like to inform that some of the custom Android Roms come with a built-in WiFi network priority settings. The feature is usually nestled in the WiFi settings menu. I personally use WiFi Prioritizer to set Wi-Fi connection priority for Android devices. The app works by frequently monitoring the signal strengths and thus switching between the best available WiFi networks. Once you have installed the app make sure to toggle the “Enable Scheduled Job” option. 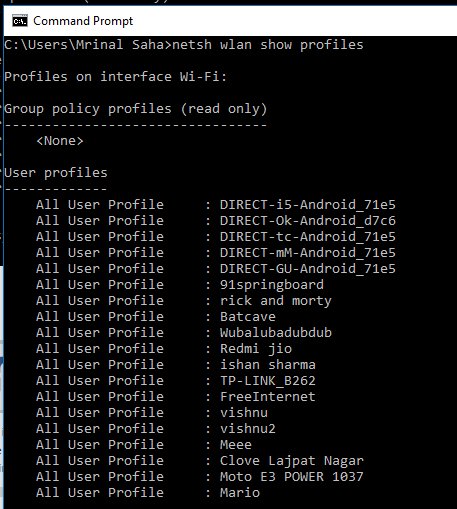 Now you should be able to see a list of WiFi networks. The networks on the list have the highest priority while the ones on the lower half have a relatively lesser priority. Users can set the priority by simply dragging and rearranging the networks as desires. Remember the networks are arranged in an descending order. Additionally, you can also change the Refresh Interval by heading over to the Settings. Tread carefully as lesser intervals will result in more battery drain so choose accordingly. Users can also change the minimum signal strength in the same menu. If you want to disable the WiFi Prioritiser simply toggle the “Enable Scheduled Job” to Off position. It has been a year since I shifted to a MacBook Air as my daily driver. The butter smooth interface and no-niggles nature of the operating system have me sold. 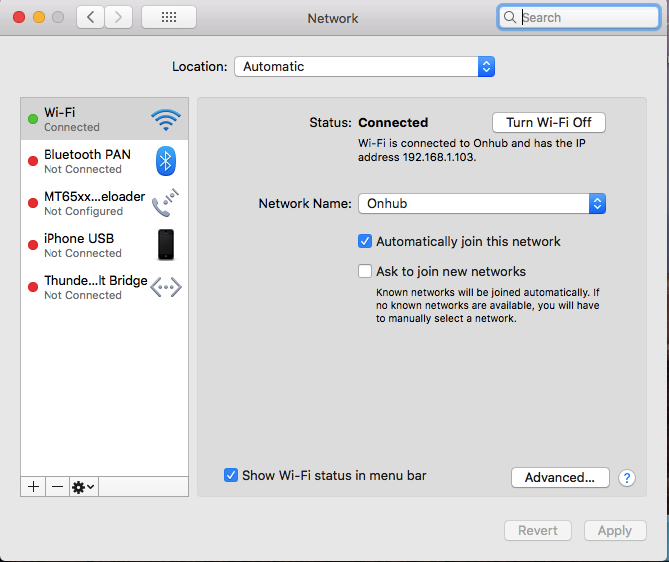 Unlike other operating systems, macOS does offer a native feature to prioritize WiFi networks. Interestingly the feature has been around for quite some time and the same is carried over to the macOS Sierra and High Sierra as well. In other words, no matter which version of the macOS you are running you can still prioritise the WiFi networks without the need for third-party software. Click on WiFi icon on the upper left side of your menu bar. In the next step click on “Open Network Preferences”. 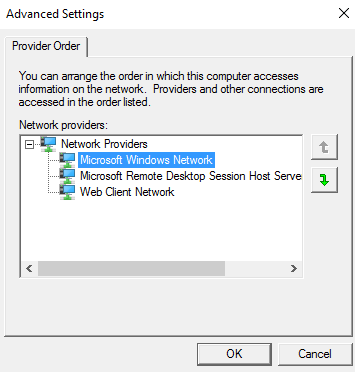 Now a window titled “Preferred Networks” should open. In this menu, you will find all the remembered WiFi network SSIDs stacked together. Needless to say, networks that are on the top of the list have the highest priority and this also means that the network names are arranged in descending order of their priority. Move the network name by dragging and dropping the same. Lastly, click OK and your Mac will save the settings and henceforth adhere to the same. Well, since I use my iPhone a lot around my house and thus it is very important for me to prioritize the WiFi network. However, I soon found out that Apple hadn’t been thoughtful and thus doesn’t offer a WiFi prioritisation feature on the iPhone. 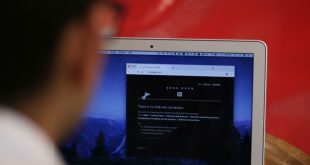 While this might sound like a bummer, it isn’t if you happen to own a laptop or rather any machine running macOS. 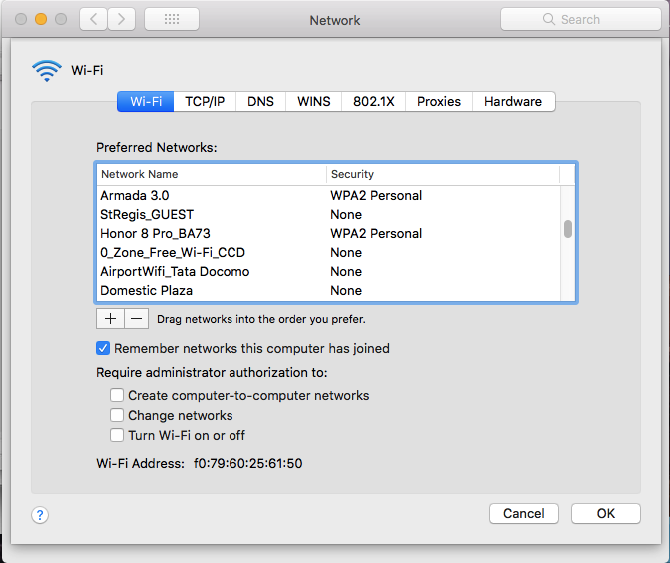 Yes, the same WiFi priority setting on the macOS holds good for the iPhone as well. One caveat though is that both, the machine running macOS and the iPhone should be logged on using the same Apple ID. The same holds good for other Apple devices like the iPad and the older iPods as well. That being said if you don’t happen to own an Apple laptop you are pretty much out of luck. Unlike, Windows 7 (which included a graphical tool to manage your wireless network priority); Windows 8 and 10, requires you to use command prompt. So, let’s see how do it. Open up your cmd with admin privileges or from the admin account. Type the following command to see a list of your saved Wi-Fi networks that you want to prioritize. To prioritize a Wi-Fi network, run the following command, replacing “wifi-name” with the name of the Wi-Fi network, “interface-name” with the name of the Wi-Fi interface like Wi-Fi or Ethernet, and “#” with the priority number you want to place the Wi-Fi network at. For example, with the following command, I can connect my laptop to my home Wi-Fi network “Batcave” with the highest priority i.e. 1. And that’s pretty much, if you again run the netsh wlan show profiles command, you can see the WiFi network name Batcave is on the top. We have taken time to explain in detail about the WiFi Priority. We hope that this segment has been resourceful. If you have any other methods that deserve a mention in the above list, please let us know in the comment section below.